By Nancy Young in Blogging. Updated on July 19, 2016 . You love photography and you have a blog, so why not put both together? Blogging is one of the best ways to build a great image and reputation for your business and to display your latest and greatest work online. Of course you could make use of stock images and Creative Commons materials instead of using your own images. However, at the end of the day, images create an atmosphere around your post and influence your readers’ perception, so don‘t underestimate the value of well-placed images on your blog. Here are some tips on how to use photos on your blog post more effectively in order to provide a pleasant reading experience for visitors and to drive more traffic to your site. You’re probably aware that people tend to scan through articles when online, looking for something that catches their attention. This is reason enough for one to carefully select photos to add to a post. If you run a photography blog, don’t treat it as your portfolio. A portfolio is aimed at showcasing your best photos to impress clients. Your blog, on the other hand, is intended to tell a story. Display only as many photographs as necessary to complete your story. Illustrate your thoughts with these images. In my opinion, four or five photos per 1000 words is ideal although in most cases, the final number of images you need depends on the topic you are blogging about. Photos can cause a usability issue if they’re too large. In order to improve your web site performance, you need to optimize your image file sizes and make them easy to download as fast as possible. Google uses page loading time as a factor in search ranking results. So when posting photos online, make sure to compress them as much as possible without loss in quality. You can do this with Photoshop. First of all, change your resolution to 72 dpi. Desktop and mobile devices don’t need as many dots per inch as printed products do in order to to look good. After that, Save for Web & Devices in Photoshop. Use the JPEG – Very High preset setting, as it does not lower the quality of the image significantly. There are also a few other tools that can compress your photos, for example, Smash.it from Yahoo or specific plugins for WordPress, like WP Smush It. If you need more tools, check out the plugins in this post. The optimal size for your blog post images is 600px to 800px wide. In this range you’ll have a high enough resolution for sharing across all social media sites without slowing down loading times. Search engine optimization of your site should extend to your images. Very often visitors use Google Image Search to search for specific images. So try to rename your images with SEO-friendly names or with keywords that are specific and relevant to your site. For instance, if someone is looking for “how to take wedding photos,” it’s more likely they will find a photo with a filename like tips-how-to-take-wedding-photos.jpg instead of one named DCS678954.jpg. Make sure each image you use carry a descriptive caption, a keyword-rich file name and relevant text in the “title” and “alt” attributes. The “title” should obviously include your headline while the “alt” attribute specifies alternate text for an image, in the event that your image cannot be displayed to the user (because of a slow connection, an error in the “src” attribute or if the user uses a screen reader). Of course a graphical browser will only display the image, and will only display the alt text if the user asks it to show the image properties or has configured the browser not to display the image. Alternative text won’t necessarily be seen by your visitors, but search engines like Google will pick up on it and this will help with your search engine ranking. Disable right-click (doesn’t prevent screenshots). Track the use of your photos online with image lookup tools, such as TinEye. Watermarking is one of the most effective ways to protect your brand in a subtle way by reminding readers about the original source of the image. It works best with social media, but try to keep your watermark unobtrusive since bold, huge and loud watermarks distract from the beauty of the photo itself. Ensure your blog is responsive so mobile users can easily browse it. A responsive site adapts to various screen resolutions: desktops, tablets, and smartphones, which is important as what looks good on desktop won’t necessarily look good on a mobile screen. Check out this 50 Useful Responsive Web Design Tools For Designers post on a tool you can use to turn your site responsive. If, however, you don’t want to make your site responsive or create a specific mobile version of the site, you can try WPtouch Mobile Plugin available from the official WordPress site, which creates a sleek and well-designed mobile site in no time. Social networking is a great opportunity to promote your brand and help with search engine optimization. The more likes and shares you get, the greater the chances of your article appearing higher up in Google’s search results. Google ranks posts by the number of shares also so it”s a good idea to include a social share button on your site pages. Don’t forget to track social referrals to your blog with Google Analytics. Go to Acquisition > Overview Report and click on Social. Also be sure to include a Pin It Button for your images to make the process of sharing via Pinterest easier. Use Pinterest Pin It Button For Images to add the original Pin It button to all your images or create your own custom button to suit the style and design of your blog. Alternatively, you can design a custom-made button and upload it in JPG format to use as a button. A well-written biography section and a headshot are essential elements of any blog post. On the Internet, people build trust based on what they can see. It’s exactly the same as judging a book by its cover. Make “your cover” as pleasant and informative as possible. Write a decent, short bio including your skills, experience, and a few links to your social media accounts. This will help potential clients find out more about you, and get in touch with you easily. 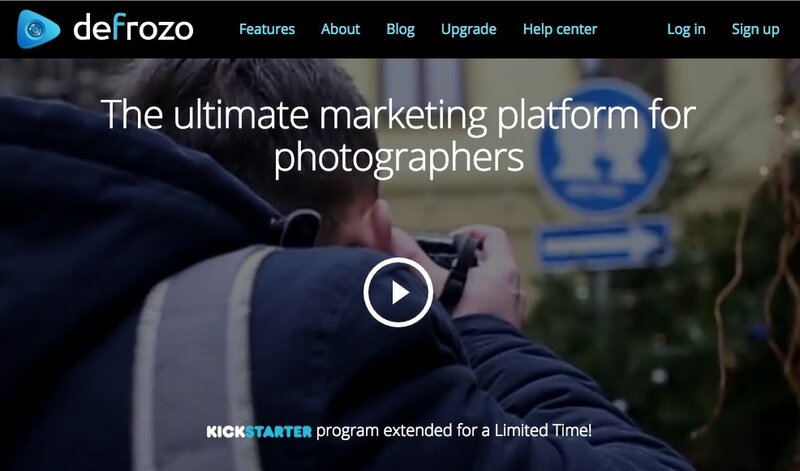 Defrozo is a free photography marketing platform that allows you to create both a photo portfolio and a blog. With its all-in-one workspace and drag-n-drop editor, creating a blog post and inserting images from your Defrozo media library is a breeze. 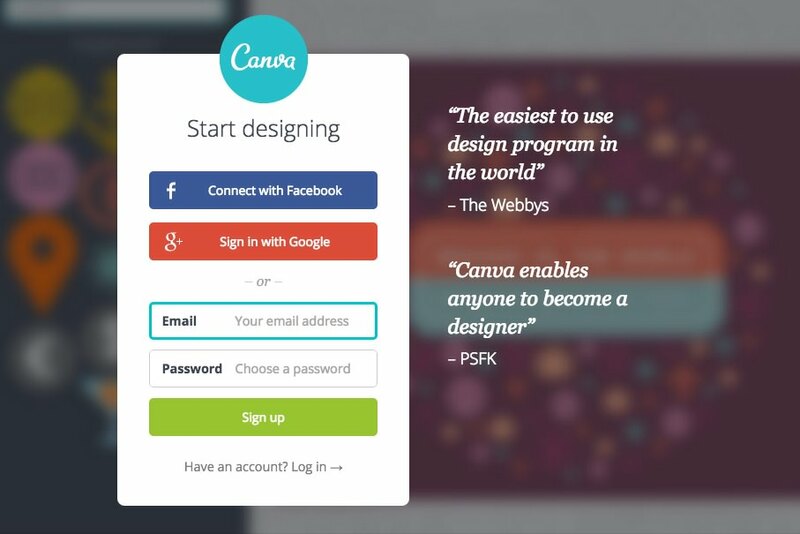 Canva is a start-to-finish design application that is created for non-designers. With this tool you can create beautiful images and add some typography on it which is a great choice for blog posts. 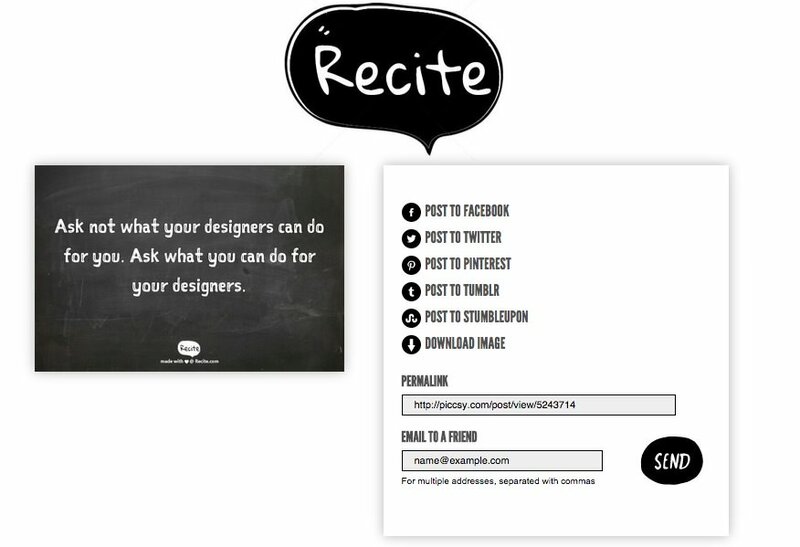 Recitethis will help you create inspiring images with quotes which have become so popular on Pinterest, Instagram and other visual social media. Choose a pattern from their collection, type the wording you would like to place on it and download the image. The tips above should help you to establish a personalized brand and boost your SEO and marketing. Remember that your blog is a living entity. It needs to be updated regularly with your latest work. Keep up with it and the benefits will outweigh the time you spend on your blog. How do you keep your blog popular? Please share your tips and hints with us in the comment field below. Your feedback is welcomed!